Facing a serious, life-limiting illness is a difficult experience for both the person with the illness and for their family and friends. Palliative care is an approach to health care that can help improve quality of life at this challenging time. If a physician recommends palliative care to you or a loved one, this does not mean they have “given up.” In fact, palliative care is often provided alongside disease therapies (such as chemotherapy for cancer), to help people with advanced illnesses have the best possible quality of life. Where does palliative care happen? Palliative care can take place in different settings, including the patient’s home, residential hospices (home-like facilities for people with a terminal illness), long-term care facilities and hospitals. Many health professionals may be involved in palliative care, depending on the patient’s needs. Doctors, nurses, specialists, social workers, physiotherapists, occupational therapists, personal support workers, spiritual counsellors, dietitians, trained volunteers, bereavement support workers and family members could play a role. How do we access palliative care? The availability of palliative care varies greatly across Canada, which does not yet have a national palliative care program. To find out what’s currently available where you live, ask your physician or social worker, or contact your province’s or territory’s palliative care association or government health or social services department. Health organizations, such as the Canadian Cancer Society and the Alzheimer Society of Canada, can provide information as well. When should we seek palliative care? Many people associate palliative care with the weeks or months just before death, but it is often beneficial for patients to receive palliative care during earlier stages of an illness, in combination with treatments for their disease. Research has shown that patients who receive early palliative care may experience improvements in mood, coping and quality of life, and it may even help them live longer. People are often reluctant to talk about illness and death, but it can be helpful for families to learn what options are available – including publicly funded and privately funded services – soon after a diagnosis, so that they can discuss how best to meet their loved one’s wishes. Preparing advance directives also helps people make their wishes known while they’re still well enough to do so. What is the role of palliative care in chronic disease? Many people who are diagnosed with a serious illness will live for many more years, due to advances in medical treatments. A patient’s needs – including symptom management, psychological and social support, and wishes for end-of-life care – can change over time. Palliative care can provide support and enhance quality of life as a disease progresses, for both patients and their caregivers (who are usually family members and friends). Palliative care can take place even while a person is receiving treatment that could cure their disease. End-of-life care is a part of palliative care that focuses specifically on a person’s needs just before death. It also includes support for family and friends during the grieving process. 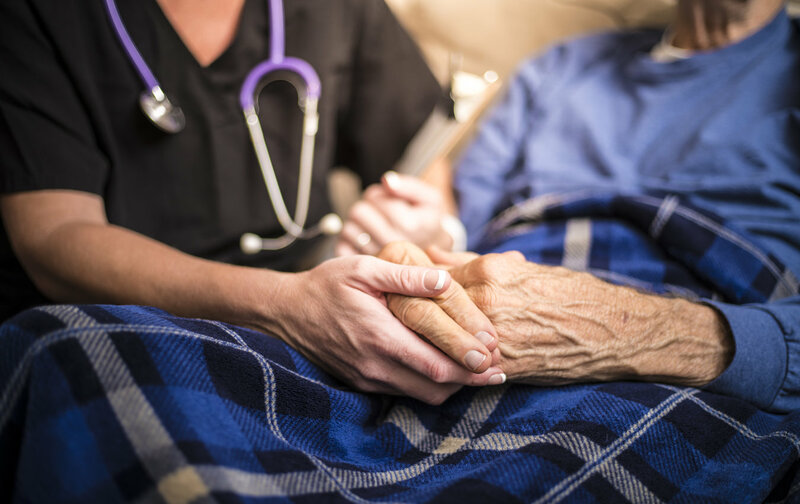 In 2016, the Canadian government passed legislation that allows eligible adults to request medical assistance in dying (MAID) – that is, assistance from a physician or nurse practitioner to end their life. To be eligible for MAID, patients must meet a list of criteria, including having a “grievous and irremediable medical condition,” being mentally competent (being able to make health care decisions) and providing informed consent. Learn more about MAID. To learn more about palliative care, end-of-life care and medical assistance in dying, talk to your physician or social worker. Death and dying are often difficult to talk about, but open and honest communication can support patients’ dignity and comfort, and enable them to have more control over end-of-life decisions. Bayshore HealthCare provides an Integrated Palliative Care Approach that helps patients achieve the best possible quality of life from diagnosis to the end of life. Learn more.